V-Trust is accredited by CNAS 17020 (ISO17020 / IEC17020) since 2010. 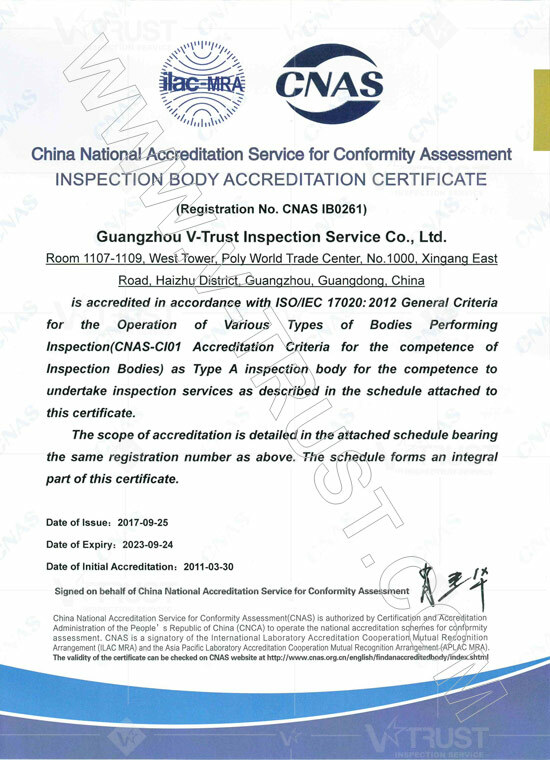 As a fully accredited Inspection Body, V-Trust is legally authorized to perform related services in China. China National Accreditation Service (CNAS) accreditation is recognized by over 77 countries within ILAC, ISO and IEC. Many Chinese inspection companies are actually not approved by CNAS. From a legal point of view, the technical and quality assurance level of such companies (without AQSIQ and CNAS17020 accreditation) are not qualified. 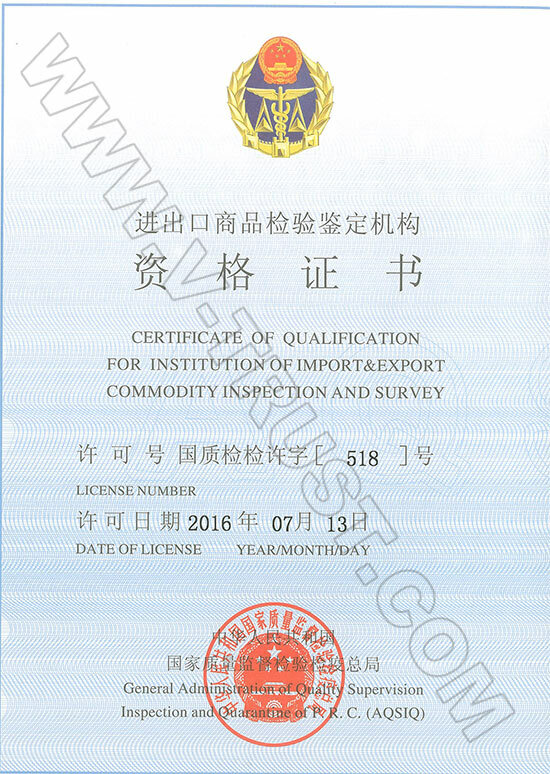 AQSIQ (The General Administration of Quality Supervision, Inspection and Quarantine) is a ministerial-level department under the State Council of China that is in charge of national quality, entry-exit commodity inspection, import-export products safety, certification and accreditation, as well as administrative law enforcement. 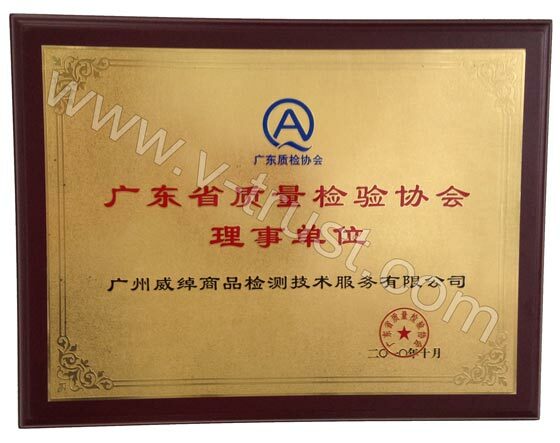 From a legal point of view, an independent third party inspection company should get both AQSIQ and CNAS17020 accreditation, then this inspection company can be operated in China legally. More than that, the inspection reports only from such accredited companies have legal validity. 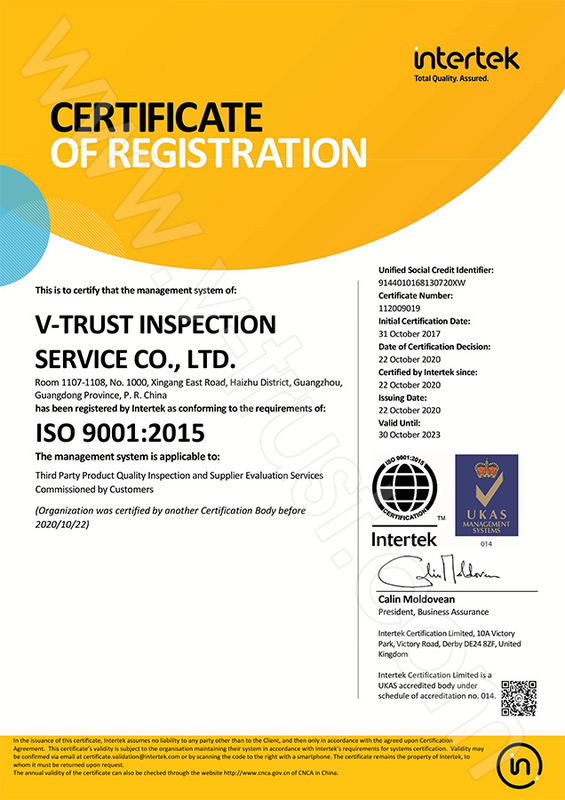 V-Trust has been ISO 9001:2015 certified by Zhongjian Certification Co., Ltd. This certification shows that our procedures and management conform to international standards and requirements. International Laboratory Accreditation Cooperation (ILAC) is an international organization that certifies Inspection bodies and 3rd party labs. ILAC represents 77 economies including: (Canada, Germany, France, UK, USA, Japan...). V-Trust is accredited by ILAC and is fully recognized by all representative countries. 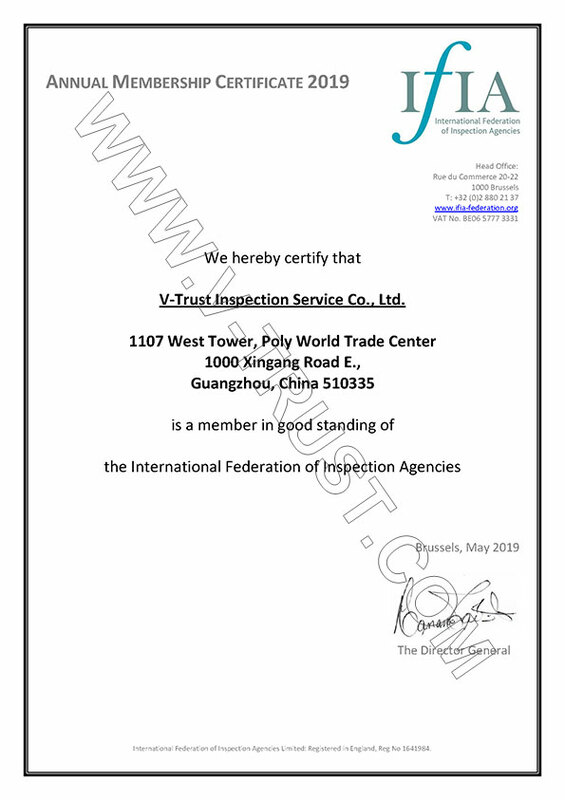 V-Trust has gone the extra mile not only to conform to international and local laws by having the proper accreditation, but also by becoming members of official organizations that represent the inspection industry. IFIA (International Federation of Inspection Agencies) represents over 40 of the worlds leading inspection, testing and certification companies. IFIA has high standards for its members regarding integrity and compliance. Annual audits must be passed based on a strict compliance program in order to be members of IFIA. The American Apparel and Footwear Association (AAFA) represents over 1,000 world famous brands in the footwear and apparel industry. As an official member of AAFA V-Trust performs many garment, shoe and textile inspections for top brand names.